Ministering to those dealing with suicide & gender issues, mental illness, & traumatic injury. One of our goals is to deal deadly blows to suicide, depression, mental illness and things like this. There is HOPE, we have seen and continue to see miracles in ours and others lives. 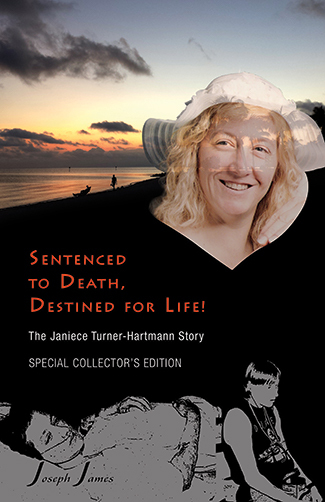 We have written Janiece’s story in a book and many are being touched, healed and many lives are being changed. Since I mentioned the word “movie” on July 14th, it seems like all hell has broken out against us, but last night was a pivotal point of change…a major breakthrough! These are the areas we are looking at developing: prayer support; a group of counselors; generate book sales to help in the funding of all and to get the story out; create a donation base specifically to give books to those who want and need them but can’t afford them; generate a large fan base in order to promote the movie by word of mouth by the time it is finished; ministry and speaking outreaches to begin to help those in need in person; local and global venues; administrative and marketing, etc. This is just a beginning. We welcome your thoughts and ideas. The book is available in print, Kindle, & Nook and is available in 6 countries that we know of so far. So far, it looks like I will be writing the screenplay or at least the general outline and then collaborate with some other writers, if possible. We will need time and space to do this while we travel, share and minister. We will also be applying for grants, as per Jake’s advice, from various groups including suicide prevention support groups, mental anguish support groups and others…with foundations so that we might connect to a larger network and extend His love to all who need His help. Anyone who would like to help us, please message, email or call us. If you know of someone who can help in these areas, please let us know. I have heard of two suicides in the last few weeks and this is two, two many… We will take what we have been given and help all we possibly can. If you have stories to add that pertain to Janiece’s life or parts of the book you would like to see included in the movie, please comment or post on the SDDL FB page or blog. We will take these into consideration. If anyone knows about grants and/or grant writing and would like to help us, please let us know… We already have a beginning list of places to contact. 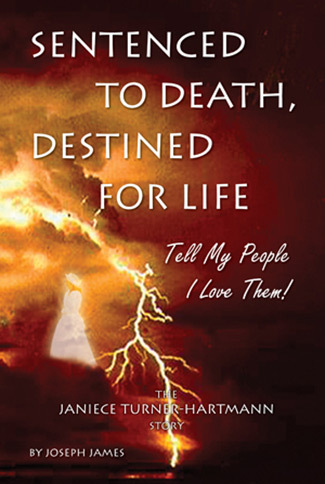 Sentenced To Death, Destined For Life Special Limited Edition by Joseph James | Only 500 Will Be Printed! Reserve Yours Today! Help Support The Movie Project! More Info! Copyright © 2019 Sentenced To Death, Destined For Life. Powered by WordPress. Theme: Accelerate by ThemeGrill.